Sprout Patterns is a new service that offers public indie sewing patterns that you combine with Spoonflower designs to create customized cut and sew projects. Spoonflower is the parent company and Sprout Patterns exclusively are using their designs to create projects. Sprout Patterns also use them to print and ship everything that's ordered from Sprout. Physically both are in the same building, so it's very convenient! 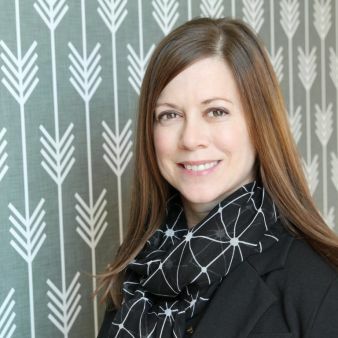 Spoonflower has a long and extensive history of printing in an environmentally friendly way and is a leader in the digitally printed fabric community. Visually we have our own branding, but we are very connected! 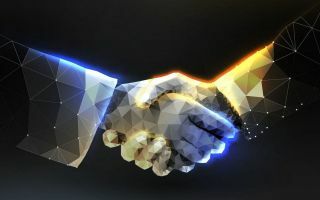 The relationship is similar to that of the Gap family, whose brands include Gap, Banana Republic, Athleta and Old Navy. Each project is digitally printed by Spoonflower at their Durham, NC headquarters. The plattform opened to the public on October 15th, 2015. textile network spoke to Caroline Okun from Sprout Patterns about the idea behind the platform. 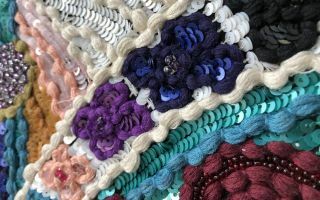 Textile network: Sprout Patterns just celebrated its first anniversary – how has the website been received in the United States? Carolin Okun: There was a beta version of Sprout called Sew Projects, which was hosted on the Spoonflower site. It was so successful that we decided to give it its own site and branding! Textile network: Let’s say I want to make a dress with my own design. How does it work? 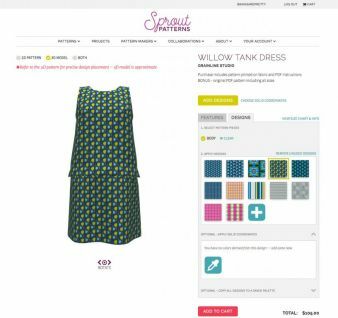 Carolin Okun: To order a dress with your own design, you first upload your design to Spoonflower. There you can order a test swatch in the fabric you like best, or you can order without one. You use the same login and password at Sprout as you do at Spoonflower. Once you're logged in, you select the dress pattern you like, choosing the fabric, size and any optional features, like long or short sleeves. When you go to add a design, your Spoonflower designs will automatically show up on the screen as the first option. Next you just click on the design you like, then apply it to the dress. Once you like the placement of the design, just add it to your cart, enter your shipping information and purchase with either a credit card or PayPal. Textile network: How long does it take to get my dress printed and shipped? Carolin Okun: The dress will take anywhere from 5-8 days to print, then the shipping to Germany takes about 14 days, regular post. Of course the shipping in the US is a bit faster! 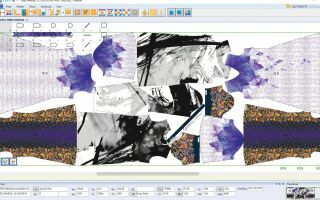 Textile network: How can I upload my own designs and patterns? Carolin Okun: Right now you can only use the patterns (Schnitte) that we have offered. Perhaps in the future we'll add the feature to upload your own pattern as well as your own design! Textile network: What payment options are available? Carolin Okun: You can pay for a dress or any other project on Sprout with either a credit card or PayPal. Textile network: As a designer, if I make my patterns and creations available to others, does Sprout Patterns offer a share in the profits when someone purchases them? Carolin Okun: When someone purchases a project (dress, bag, whatever), with your design on it, you get 10% of the cost of the fabric, determined by how much fabric is used. We calculate according to the pixels ordered, so it's very precise! You might get small payments instead of one larger one because the calculations are for the different parts of the pattern. For example, you might get three small payments, for the body, sleeves and collar. Textile network: How does Sprout Patterns ensure the quality of the patterns? Carolin Okun: We work very diligently with our partners to ensure that we have the most accurate and up-to-date version of every pattern. We build in shrinkage so that if you order a size 38, once you launder the fabric, it will be a size 6. We always recommend that you wash the fabric and press it before you start to cut and sew. Additionally, every piece of fabric that is printed at Spoonflower is inspected for color and faults. If it doesn't pass inspection, it is reprinted, at no cost to the customer. Textile network: Who are your target customers? Consumers, designers and start-ups or clothing companies? Carolin Okun: Right now we're focused on customers who want to either sew their own garments and accessories or use our White Glove service to sew for them. We absolutely would love to work with designers, as it's possible to create private projects on Sprout - to essentially use us as a printer, without sharing your designs or finished projects. We can offer discounts for bulk orders and love to work with individuals or small businesses. In the future we hope to have an external API that would enable clothing manufacturers to take advantage of the Sprout model. Textile network: So far your website is only available English. Are you planning on adding other languages? Carolin Okun: As our parent company, Spoonflower, starts to offer their site in different languages, we hope to follow suit. Right now we hope that the site is so visually focused, that language is not a barrier to creation! We also hope to soon print using our office in Berlin, so that European customers can take advantage of fewer customs regulations.